This place is always so busy no matter when we stop by. Long lines, but they move fast. 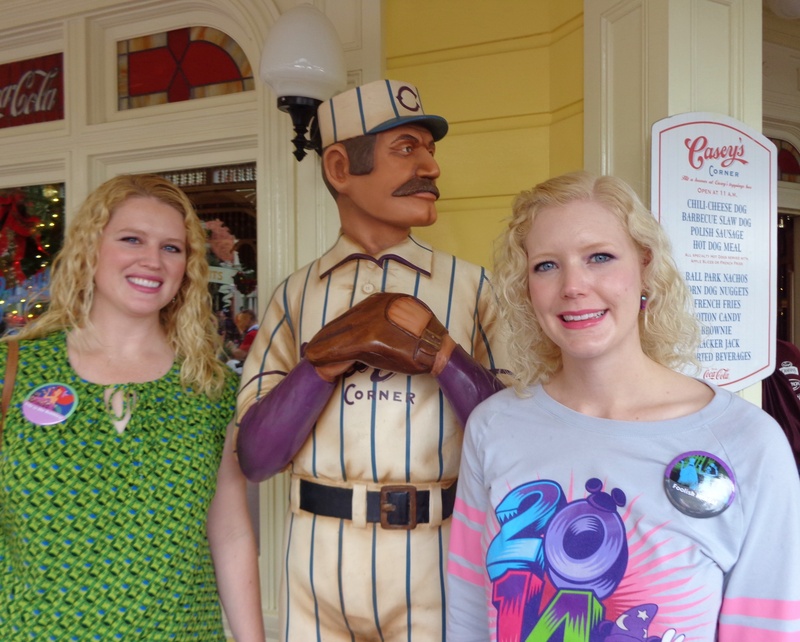 Whether guests are baseball fans or not, Casey’s Corner is a must for Magic Kingdom guests. 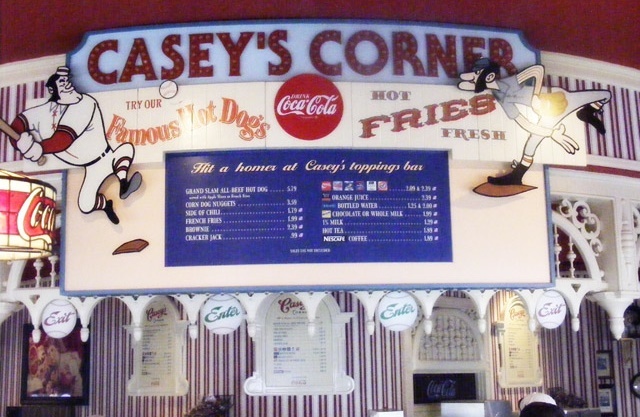 Memorializing the famous poem, Casey at the Bat, Casey’s Corner offers your favorite ballpark foods: hot dogs, fries, caramel popcorn, and pretzels. 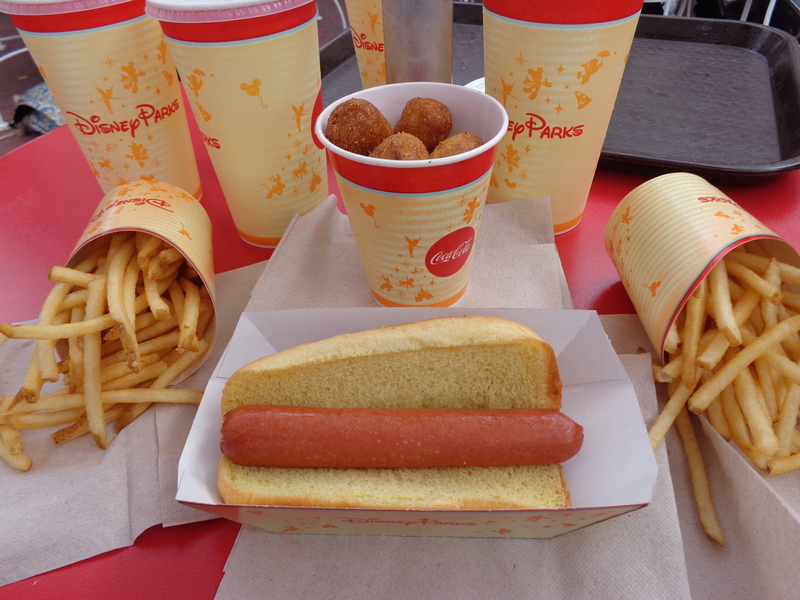 Casey’s has the best hot dogs at Walt Disney World!!! 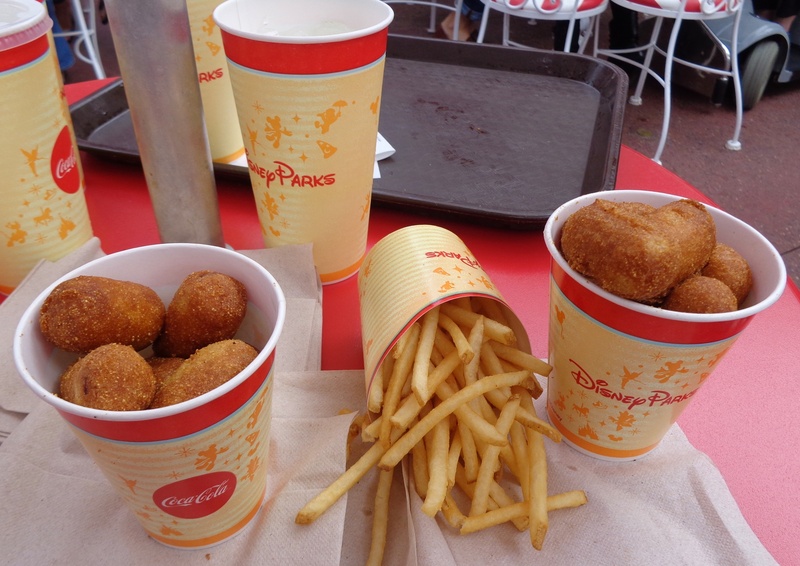 And, while they serve some of the best hot dogs in town, their corn dog nuggets are to die for! Finally, corn dogs! And skinny fries!!! Best hot dog in town, all it needs is a little ketchup. Hit it out of the park with American baseball favorites: hot dogs, nachos, corn dog nuggets, French fries, brownies, and Cracker Jack. Halloween on Main Street USA. Casey’s Corner is up on the left. This entry was posted in Disney College Program and tagged Adventures in the Animal Kingdom, Caroline Collins disney blog, Casey's Corner, Corn dogs at Magic Kingdom, Elly Collins Disney blog, Hot dogs at Magic Kingdom, Magic Kingdom, two disney sisters, two girls and a mouse tale, Walt Disney World Resort.